The music ministry at Eastridge serves the church by facilitating the expressed worship of God through congregational singing and special music. We skillfully use the gifts that God has given us, with a heart devoted to glorifying Him. The songs we sing are chosen with purpose to accurately praise God based on what we know in Scripture and to recount the story of the gospel. Music has always been an important means of expressing worship to God. 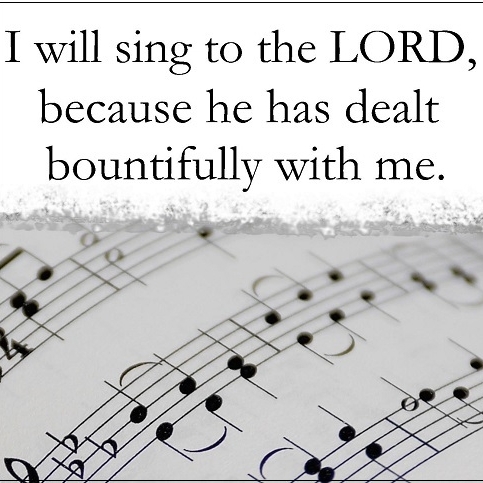 Scripture tells us to sing praises to God, while His person and works give us plenty of reasons to praise Him. Using the gift of music is one of the ways we express worship to our glorious God. Music has the unique ability to take root in our minds and transform our thinking. For that reason, the songs we sing on Sunday should be filled with biblical truths. As our minds replay the songs throughout the week, we can meditate on those truths and glorify God. The worship team is a small group of vocalists and instrumentalists who lead music during the Sunday worship services in a more contemporary style. Rehearsals are every Thursday at 7:00pm at the church. Those who would like to participate on the worship team must go through an audition process. The adult choir is made up of a larger group of singers, leading music periodically on Sundays and during special events such as Christmas and Easter. There are no auditions to be part of the choir, but there may be auditions for special solos or smaller ensembles as opportunities arise. The audio/visual team oversees the technical side of things. They run the sound board, the lighting board, and the weekly slideshow of song lyrics and sermon notes. We will train you, so no experience is necessary. Professing Believer – Each team/choir member must be able to give testimony that they have come to saving faith in Christ. Be at least 14 years of age – Anyone age 14 or older is welcome to join this ministry. Faithful Attender – As those who help lead our congregation in worship, each team/choir member must lead by example and faithfully attend Eastridge. Completed Eastridge 101 – Each team/choir member will need to have completed Eastridge 101. These classes are offered about four times per year. Dedicated to Rehearsals – Each team/choir member must be committed to attend scheduled rehearsals. We understand there are times when there are unavoidable scheduling conflicts. However, leading worship deserves our best efforts and commitment. Servant’s Attitude – Music within the church is never meant to serve ourselves in any way. Through our music we serve God by giving Him praise and worship as He alone deserves (Ephesians 5:18-20), and we serve the congregation by teaching and admonishing them in love through the songs we sing (Colossians 3:14-17). Special Music – If you are interested in providing special music during one of the services, please contact Samuel Blakey to learn more about the audition and scheduling process. Joyful Noise – Our children’s choir and drama group. 128Collective – Trains our high school youth to play instruments and try out the technical side (audio/visual) for the youth worship team. If you are interested in joining our worship team, adult choir, or audio/visual team or have questions about how you can serve, contact Samuel Blakey.